This book traces the glorious history of the elite French cavalry. • A well-illustrated guide to the history of the elite French cavalry, with particular emphasis on the First Empire. This book traces the glorious history of the elite French cavalry. 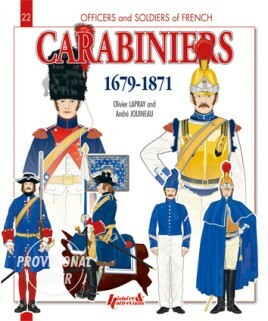 Through 61 plates of highly detailed uniform illustrations, André Jouineau guides the reader from the first company of carabiniers established within in each regiment—those superior marksmen equipped with a rifle, the gauge of precision par excellence—sought after by Louis XIV in 1690, to the fiery carabiniers of Napoleon III's Imperial Guard who disappeared in defeat in 1870. The authors' primary emphasis, however, is given to the First Empire.